Why would you get just one Springfield XD-E holster? The XD-E is designed to be carried as much as possible. Not too many people only ever need one kind of carry holster for their carry gun. Usually, they need a few different types for every situation they might carry in. You'll definitely want an XD-E concealed carry holster, maybe a couple of different types. You'll likely need one or two for open carry, as there are times when you want to carry but have no need or desire to conceal. Range days are great for open carry, so are days around the house or tooling around in the great outdoors. The ShapeShift Springfield XD-E Core Carry Pack gives you four different options of carry configuration, which you can easily switch between in moments without needing the use of tools. The innovative Shift shell allows you to switch the shell between holster bases and thereby vary your carry as you see fit. The ShapeShift shell is custom-molded, so you get a perfect fit right out of the box. 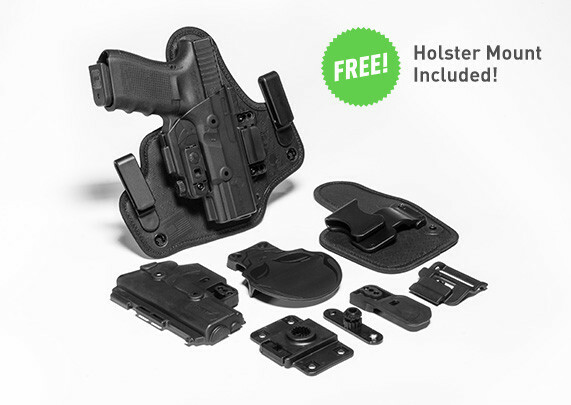 All holster configurations feature fully adjustable passive retention as well, so you can get the draw and hold setting that you prefer, without needing any hex keys or tools of any sort. What all do you get with the Core Carry Pack? Springfield XD-E IWB holster, a traditional winged IWB padded with our CoolVent neoprene and featuring a spring steel and woven nylon core. 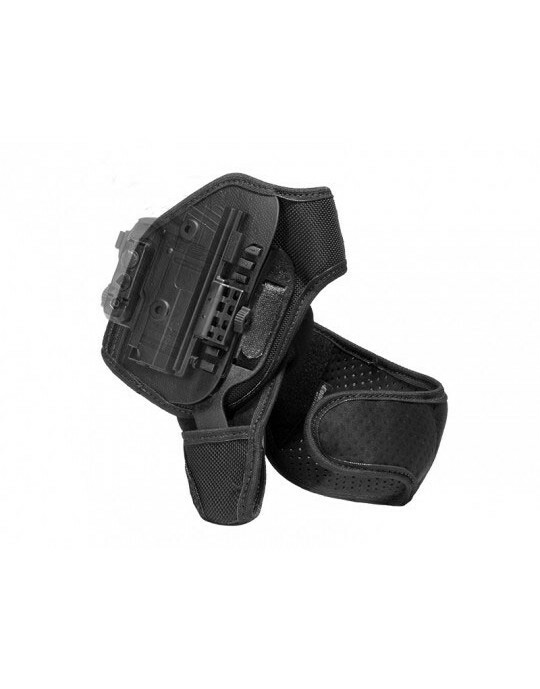 Springfield XD-E Appendix Carry Holster, with a comfortable holster base for an easy carry. 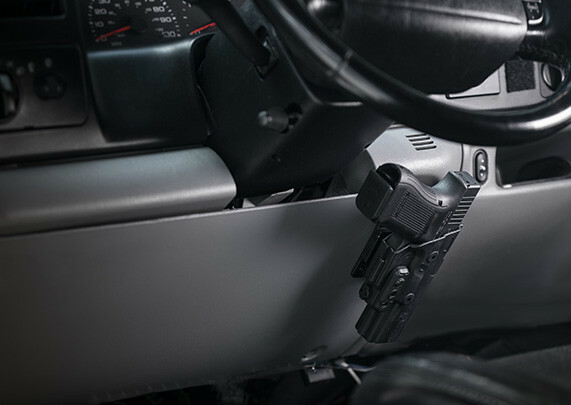 Springfield XD-E Belt Slide OWB Holster, a high-riding belt slide that conceals or carries openly as you see fit. 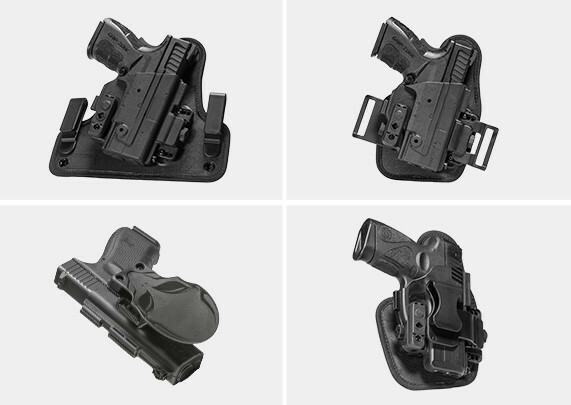 Springfield XD-E Paddle Holster OWB, an ultra-durable and versatile OWB design that carries with a paddle or belt slide attachment, and with active or passive retention. 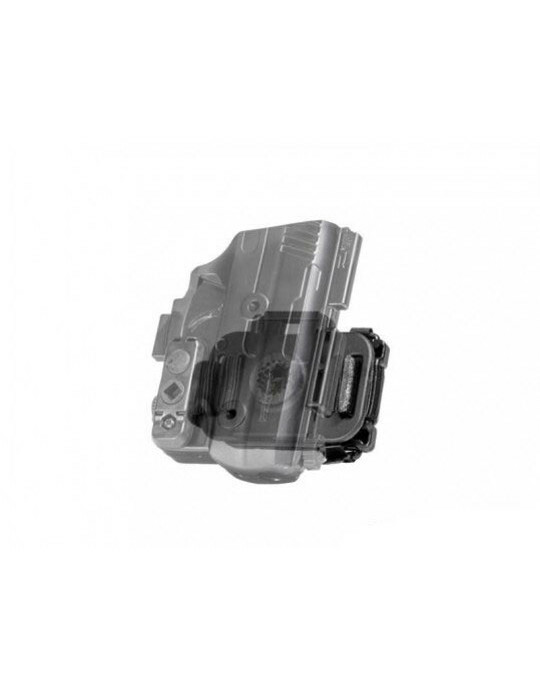 You also get the benefit of Alien Gear Holsters' Iron-Clad Guarantee, including the 30 Day Test Drive trial period and a lifetime warranty on the holsters, all parts and components, and against any defects or damage of any kind. If you're looking to shift into a better carry, start your Test Drive today! I've been a firearms user for 45 years and carrying for 40. I too have a drawer full of various holsters, but the Shape-Shifter is the only holster I have for my Springfield XDe. I love the flexibility and the carry options, without changing holsters. I do have one ask..... Can you please make the backing pad wider at the top, to accommodate various carry angles?